Gemma Smith is a PADI Master Scuba DiverTM Trainer, and Tec explorer from the UK. 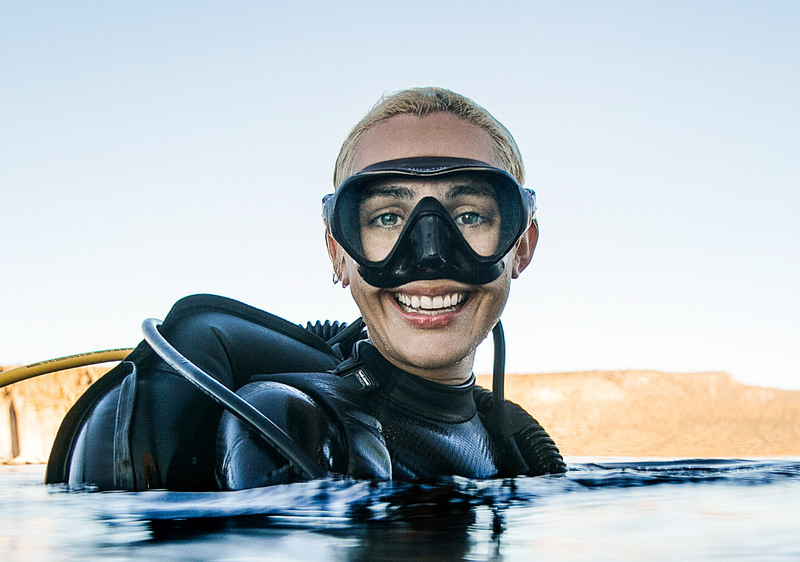 She works as a scientific diving field assistant on archaeological missions and was recently named one of the top 10 female divers in the world by the Huffington Post! Whether she is navigating underwater caverns, leading technical dives, or helping excavate historical wrecks, she continues to amaze us in her exploration of the underwater world. 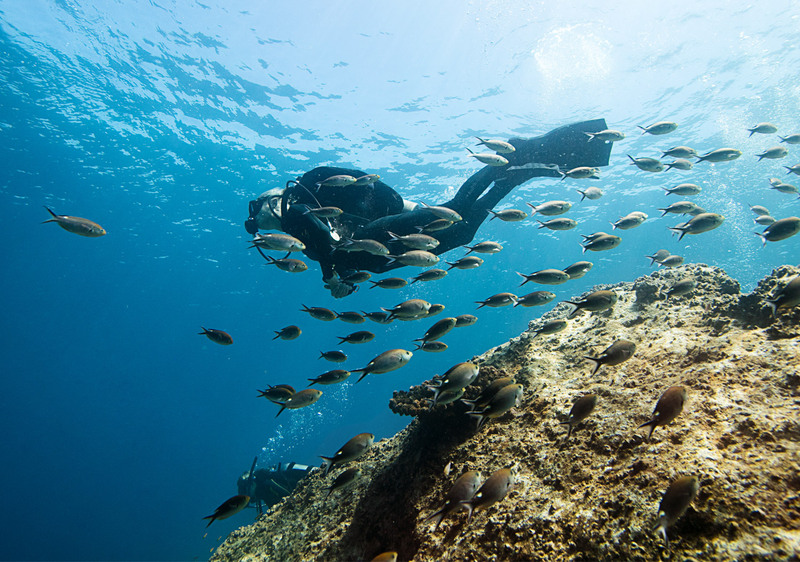 How has diving with PADI impacted your life or career? Learning to dive with PADI changed my life. At 17 I passed my Open Water Diver course, and from then I decided that diving was what I wanted to do with the rest of my life. I took more courses, dived as much as was humanly possible, traveled all over the world to dive new places and learn as much as I could about diving. Almost ten years later, I work as a professional diver instructor and diving specialist on archaeological projects. I never thought that learning to dive all those years ago would shape and impact my life in such a huge way. Tell us what it is like to be a diving specialist on archaeological projects? 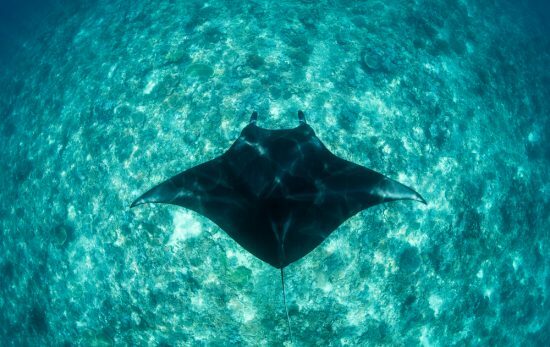 How did you get into this field and what inspires you to continue scuba exploration? I love working on archaeological projects. To see artifacts emerging from the seabed after hundreds, or sometimes thousands of years, gives me goosebumps. It’s a moment that can never be repeated! To think that some of these objects may not have been seen by human eyes for centuries is mind boggling. Archaeology is definitely something that I have grown more and more interested in over the years. I started out on these projects as a CCR specialist with no real knowledge of archaeology, but as I’ve become more and more involved, I’ve actually started taking basic underwater archaeological courses so I can get even more immersed in that side of expeditions. There are still so many incredible discoveries out there to be made, and the chance to be involved in more projects like this in the future is definitely a driving force in my diving right now. 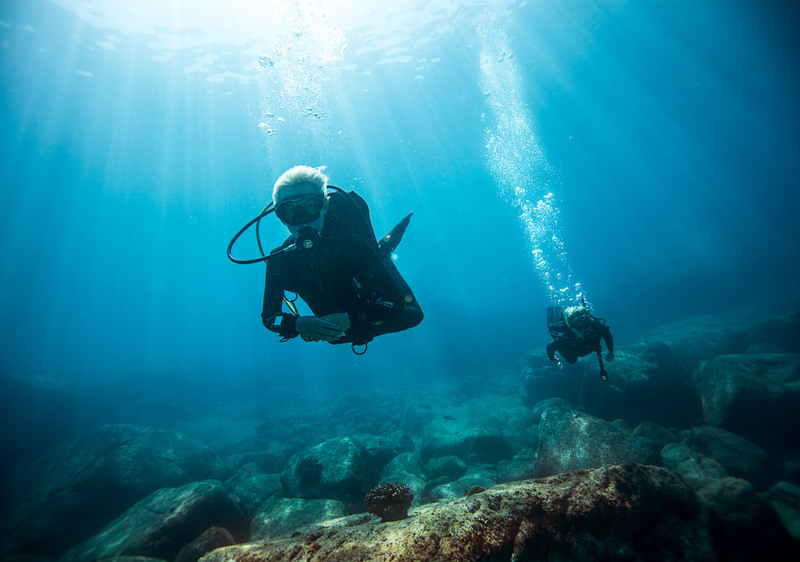 You assisted in the excavation of the Antikythera Shipwreck —a world famous historical shipwreck in Greece—could you tell us what it was like to dive and explore the Antikythera…and to be one of the first women nonetheless? 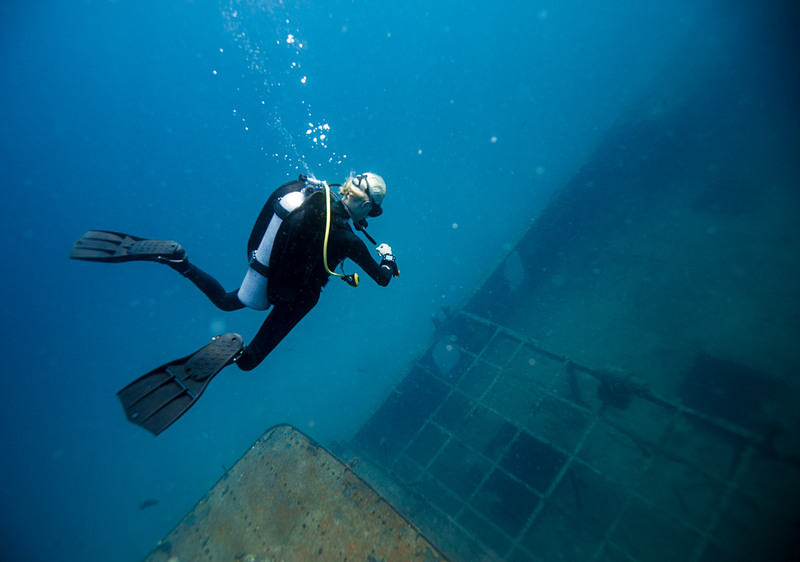 Diving the Antikythera Shipwreck has been without a doubt one of the highlights of my journey in diving. It’s just such an iconic site! Discovered by sponge divers in the early 1900s, dived by the legend that is Jacques Cousteau on two separate expeditions in the 50’s and 70’s, and now to be on a modern excavation on the wreck from which the Antikythera Mechanism was found is just a dream come true for me! Before diving the wreck, the fact that I might be the first woman to dive the wreck didn’t even cross my mind. All I wanted to do was dive the site with the rest of the research team and do my job well. The team I work with is amazing. I’ve never been treated any differently because of my gender. It wasn’t till much later that one of my teammates mentioned that I might have been the first woman to dive there. I was amazed! I think partly why it has taken so long to get a woman diving the site is because so few people dive the site anyway. I have no doubt that there will be more women diving there in the future though. You also love teaching and exploring the underwater world with others, what is your favorite PADI specialty to teach and why? I actually love to teach dry suit diving! I know it seems like an odd choice for a favorite specialty (especially compared to more glamorous sounding choices) but there is a reason. I started out as a cold water UK wreck diver, and quickly came to realize how many amazing dive sites there are that many people are put off from diving because of the temperature. 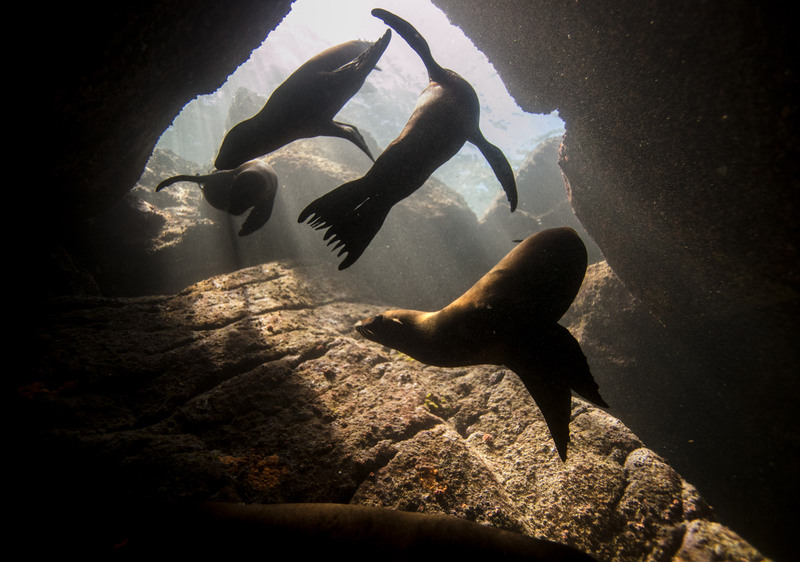 If you can dry suit dive, suddenly some of the most beautiful and incredible underwater worlds are opened up to you, without you having to be thermally uncomfortable. Some of my favorite dives have been in incredibly cold water; diving pristine wrecks in freezing Newfoundland water, Silfra in Iceland (famous for being the gap between two tectonic plates), mine diving in Finland….Spectacular dives that were comfortable because I had proper insulation and thermal protection. I would love more people to be able to see the beauty in cold water diving. La Paz with PADI! 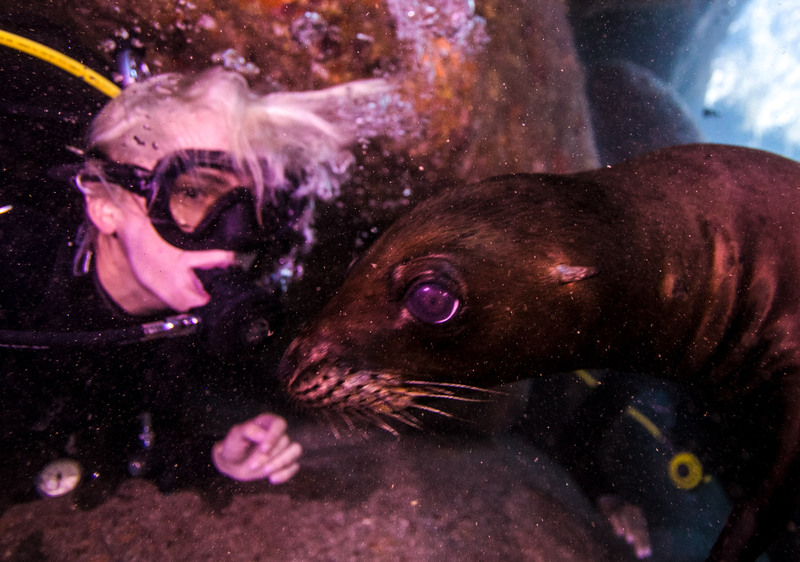 I recently did one of the best dives I’ve ever had with the sea lions there. They really are like underwater puppies! They are just so playful and fun, and completely full of energy! I spent the whole dive having to clear my mask because it was flooding from me laughing so much. Every time I dive I’m happy, but this dive was truly special. Finally, what does My PADI mean to you and why? To read more My PADI stories like Gemma’s, visit mypadi.padi.com.